Just recovering from the FABULOUSly vain Fashion Week, London prepares to host Europe's largest music convention, as the British Music Week begins today, October 1st, running until next Wednesday October 7th, and will see countless 'urban' (as in produced in the cities, rather than the randomly appellated genre for that matter) music-focused conferences, seminars, showcases and award ceremonies, taking place across two of London Town's cultural satellites in Camden and Shoreditch. The initiative launched in 2005 by former mayor, Ken Livingstone, now in its 5th year, will give the opportunity to music industry practitioners, from artists to clubs, DJs to press, record labels to retailers to celebrate and/or assess the state of the music business. This Saturday, October 3rd will also permiere the inaugural edition of the Download Music Awards (the name says it all), with nominees including newcomers Lady Gaga, Little Boots and The Saturdays, as well as household names Green Day, Black Eye Peas and Kasabian, among others. 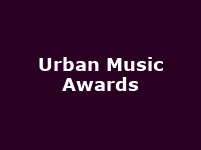 This will be followed by the 7th annual Urban Music Awards (this time, as in R&B, HipHop, Soul and Dance Music) on November 1st, a red carpet award ceremony, which previously celebrated the likes of Dizzee Rascal, Chipmunk , Mr Hudson ft. Kanye West and Tinchy Stryder, and for which this year's official nominations will be announced shortly this month. Tickets for the British Music Week (www.britishmusicweek.com) and for the Urban Music Awards ceremony (www.urbanmusicawards.net ) are available now directly from these two websites.